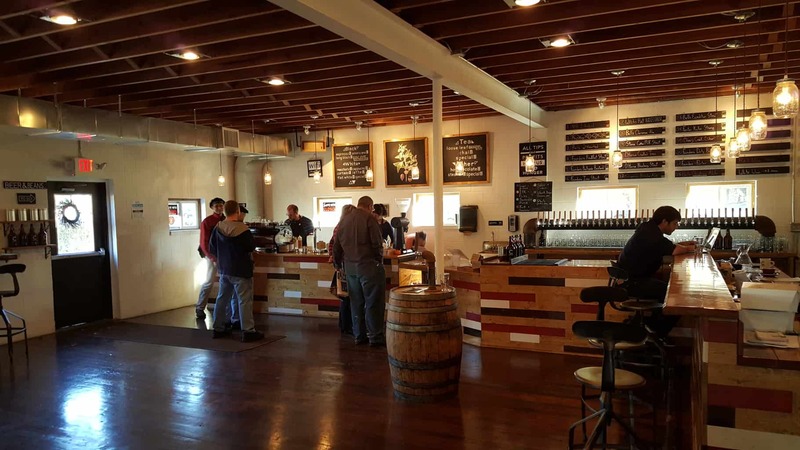 In #MittenTrip, Drink, Southeast Michigan. Legend has it that coffee was discovered first by goats when a goat herder named Kaldi noticed that his flock was acting a bit ramped up after eating the berries from what is now known as the coffee shrub. Out of curiosity, Kaldi tried some of the red berries and had a similar reaction, must have enjoyed the buzz, and thus the caffeine addiction that much of the modern world knows so well was born. While coffee has been a crucial part of morning routines of people around the world for hundreds of years, not even our old friend Kaldi could have predicted the rise of popularity in fancy coffee concoctions and the artisanal approach to coffee roasting that we now enjoy. 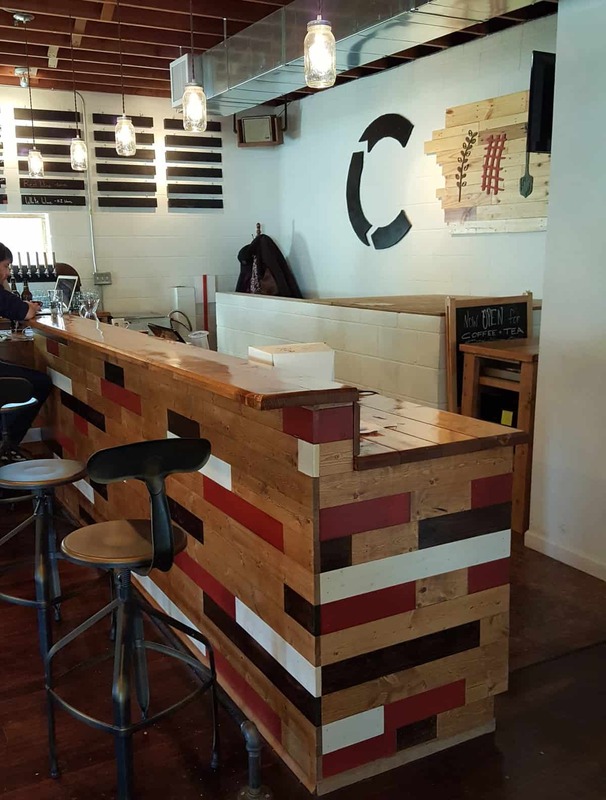 Cultivate – Coffee and Tap House, a recent addition to the Ypsilanti coffee and beer scene is unique for a variety of reasons (and also our favorite stop on our #MittenTrip to Ypsilanti). The most notable, when you approach the building, is that it looks like the kind of place you would drive your car if you were having engine problems. This is because Cultivate resides in a building that was home to an auto electric shop for 50 years. However, upon entering the space, all notions of that disappear as your eye is drawn to the seamless blend of metal, wood, and concrete to create a unique, modern and extremely inviting space. Another unique aspect of Cultivate is that it is a non-profit business. 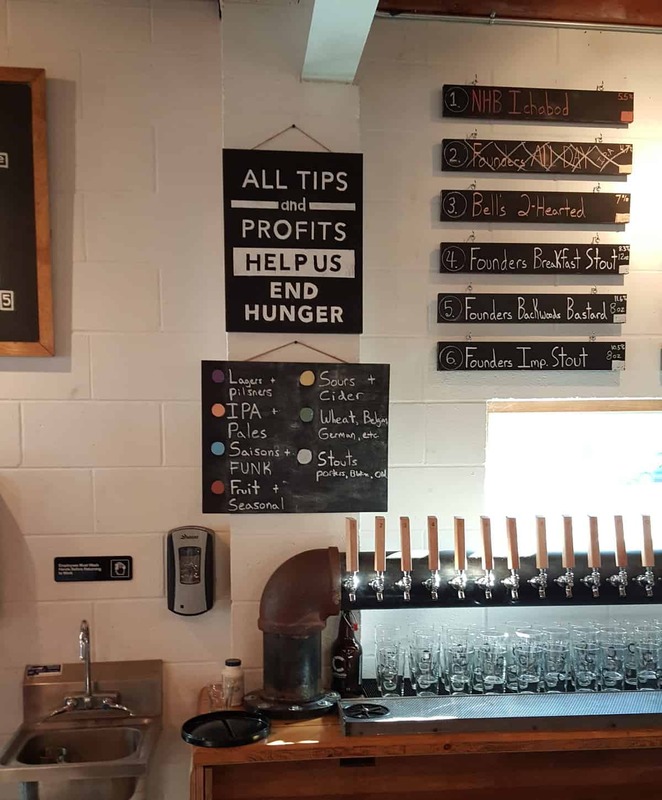 While they do still pay taxes on their property and beverage sales, Cultivate’s profits (and all their tips) go to help fight hunger. That leads us to the last unique aspect of Cultivate that I will touch on: their values. While of course you can just go into Cultivate to grab a cup of coffee, and I’m sure that they would be thrilled, their true focus is on three greater ideals, which I will break down in greater detail: Craft. Community. Cause. The most obvious thing about Cultivate when you walk through the door, well besides the beautifully renovated space, is the array of coffee producing gear and a large hand written tap list on the wall. The Cultivate staff can whip up the typical coffee shop staples, such as lattes and cappuccinos, but also offer a changing selection of freshly roasted coffee beans available as pour-overs. On the day’s coffee menu you can read about where each bean comes from, as well as a detailed description of the different flavors you should be able to taste (full disclosure: even though I am obsessed with coffee, I rarely taste the “hard wood” or “raspberry notes” that are supposedly present. I suppose my palate isn’t refined enough!) That said, I did greatly enjoy my pour-over Kenyan coffee, and my wife enjoyed her coconut milk cappuccino, complete with latte art. Though coffee was the primary beverage on the menu when Cultivate first opened, craft beer has just recently been approved for sale! Cultivate features numerous taps, ensuring a wide variety of brews, and the tap list written on chalkboard signs on the wall is even color coded, letting you know what kind of beer you are ordering, in case the fun but sometimes vague beer names (I’m looking at you Bean Flicker). Despite being relatively new to the neighborhood, Cultivate is already working hard to be a part of the community it exists in. This is done through hosting a number of community events, such as a free, educational coffee cuppings each month, providing a safe space for gatherings and discussions of all kinds, and even through the simple act of having a chest of board games available, inviting you to sit and stay awhile. Even the seating in the café beckons patrons to mingle together as a large group since the majority of seating is comprised of a large bar with a number of stools, as well as long picnic tables that encourage people to associate with their fellow patrons. Finally, Cultivate will be making their financial records public so that the community can see exactly where their money goes. A non-profit company doesn’t make much sense without a cause to contribute to, and for the owners of Cultivate, the cause is a noble one: hunger. While of course they know enough to know that they are not going to single-handedly end world hunger, they are investing in organizations that can truly put a dent, by sponsoring local and global gardening programs. 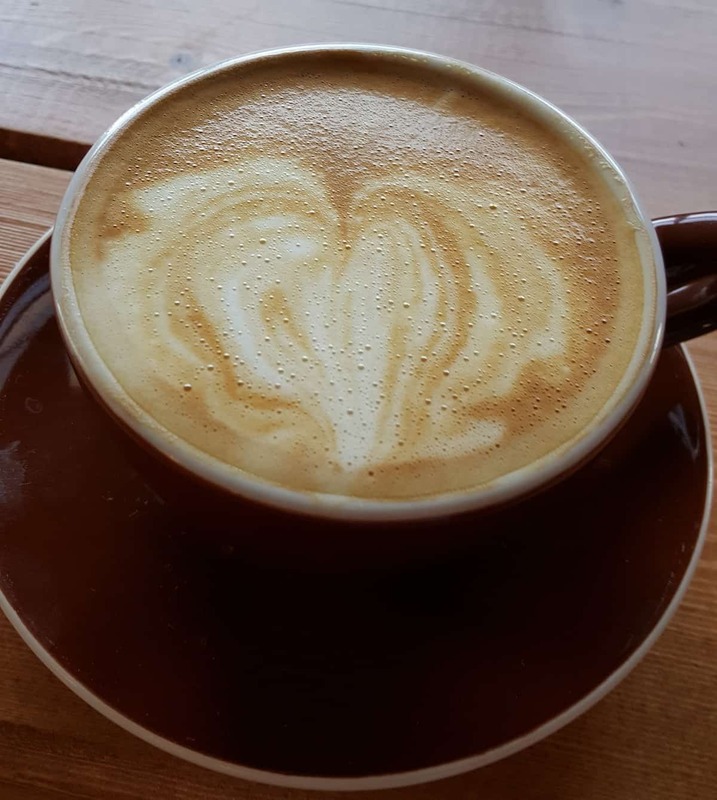 The profits from the café are invested in causes which don’t discriminate based on any affiliation, as long as they align with their overall cause goals. So, whether you want to stop by for a latte on your way to work, swing by with some friends and play a game of Scrabble, or strike up a conversation with the owners and employees regarding their views of craft, community, or cause, Cultivate as a spot at the bar with your name on it. (Cultivate can be found in Depot Town at 307 N. River St., Ypsilanti, MI 48198). Tagged Cultivate, Cultivate - Coffee and Tap House, mittentrip, Ypsi, Ypsilanti.